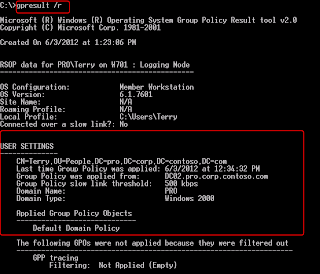 By default, domain users cannot generate the "Group Policy Results" or "Resultant Set of Policy" of Computer Configuration due to insufficient permissions. 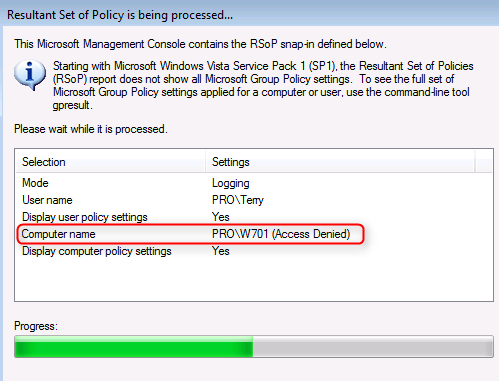 Only users with local administrator rights on the target computer can remotely access Group Policy Results data. 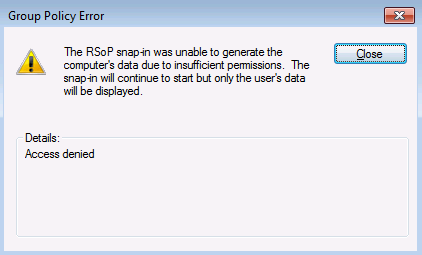 Figure 2: The warning of "Resultant Set of Policy"
Figure 4: The result of "Resultant Set of Policy"
To allow domain users generating the "Group Policy Results" or "Resultant Set of Policy" of Computer Configuration, we can delegate the permission for domain users by using GPMC. The permission can be assigned in a domain or organization unit level. Remark: To delegate the permission, make sure the forest functional level of the domain environment is Windows Server 2003 or later. 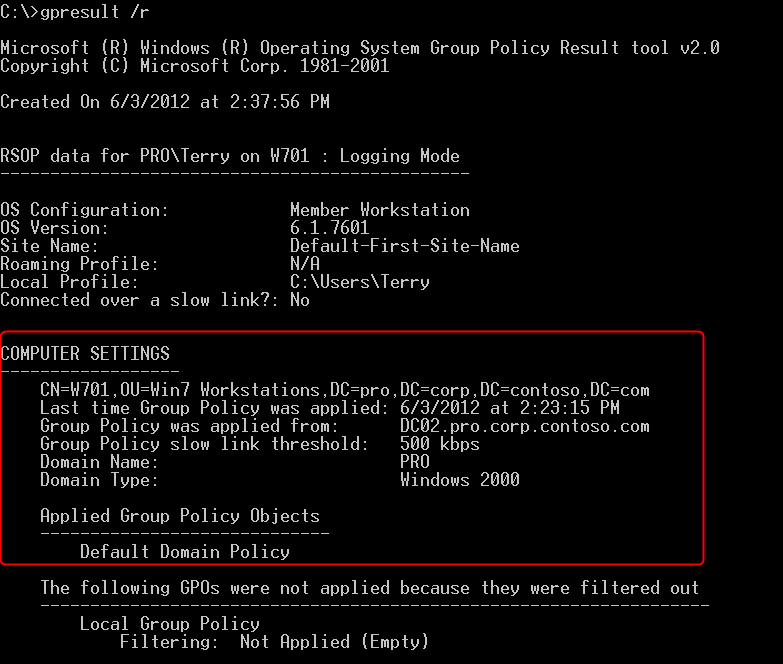 Allow the domain user,Terry, reading the "Group Policy Results" of Computer Configuration in "Win7 Workstations" OU. 3. Expand "Forest > Domains > Domain Name > Win7 Workstations". 5. 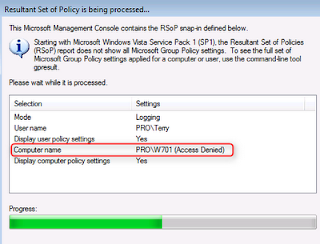 Next to "Permission", select "Read Group Policy Results data". 7. In "Select User, Computer, or Group" window, enter "Terry". 8. On "Add Group or User" window, next to "Permissions", select "This container and all child containers". Remark: The child OU of "Win7 workstations" will inherit the permission because "This container and all child containers" is selected. 11. Next to "Security", select "Terry". The "Generate resultant set of policy" permission is granted Terry. 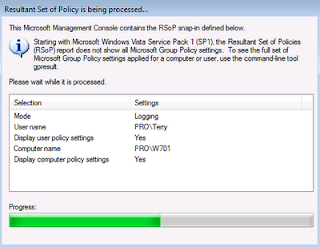 Now, Terry can generates the "Group Policy Results" or "Resultant Set of Policy" of Computer Configuration on workstations which is under "Win7 Workstations" OU. 1. On W701, log in as Terry. 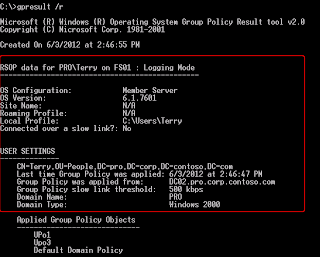 The "Group Policy Results" of Computer Configuration can be generated by Terry. 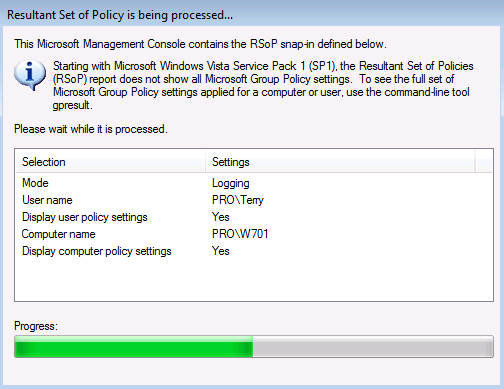 When the "Resultant Set of Policy" is being processed, there is no warning message. 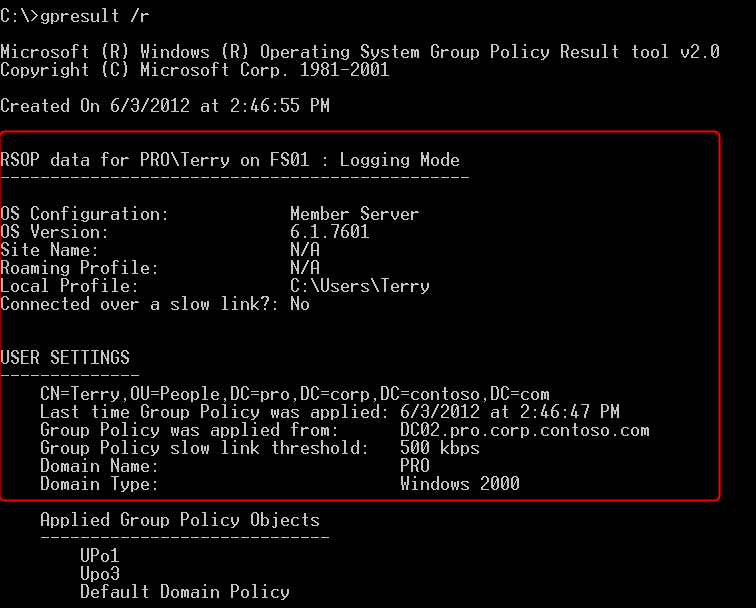 Terry can generate "Resultant Set of Policy" of Computer Configuration. 6. On FS01, log in as Terry. 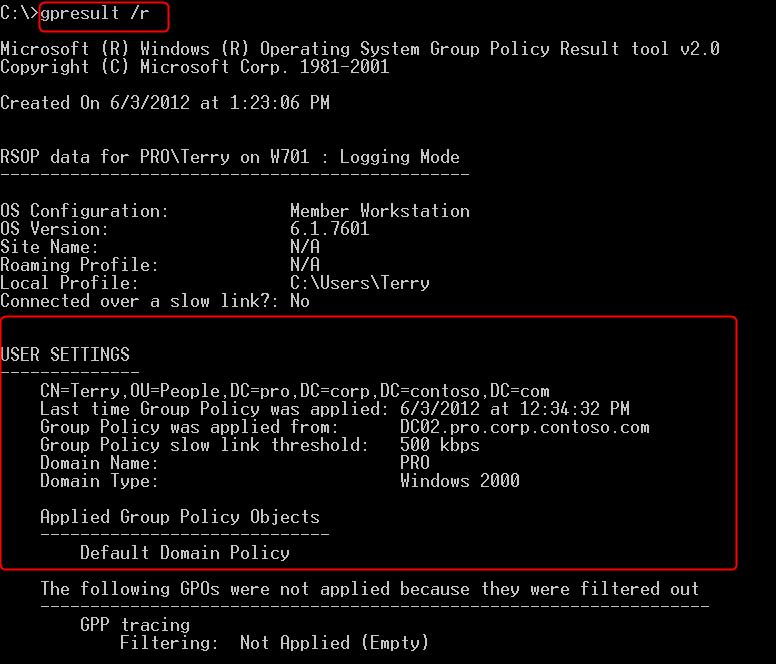 Because the "Generate resultant set of policy" permission isn't granted on domain level, Terry cannot generate the "Group Policy Results" or "Resultant Set of Policy" of Computer Configuration.